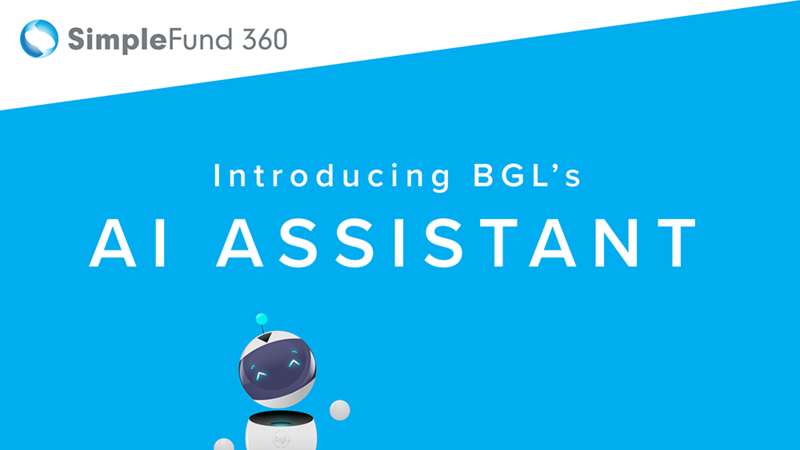 BGL is proud to announce the release of Stage 1 of its Artificial Intelligence (AI) Assistant for Simple Fund 360. This is a first in the SMSF admin software industry. “This is a huge achievement by our Simple Fund 360 Team” says “BGL Managing Director, Ron Lesh. “BGL has been working on AI for over 12 months. We needed to teach the AI Engine about SMSF transactions through a process known as Deep Learning. This results in Simple Fund 360 providing a level of confidence on where transactions have been allocated in the ledger based on the 250 million plus transactions in the Simple Fund 360 database. It is truly amazing technology”. “BGL’s AI Assistant can predict compliance breaches and spot incorrectly coded transactions that may have been input by a human or categorised in error by a rule” added Lesh. “The AI Assistant utilises purpose built Machine Learning classification algorithms to review bank transactions and attempts to locate any possible user or rule based coding errors and recommend coding corrections. This tool can be used, for example, during the pre-audit phase to locate outliers, improve processing consistency and reduce the time it currently takes to prepare a fund for Audit”. BGL has already won 4 awards in 2018 including innovation awards for both Simple Fund 360 and CAS 360. “We have had an incredible start to 2018” noted Lesh. “The investment we have made in industry leading technology and innovation is giving our clients a huge advantage in the highly competitive SMSF admin industry”.